Simple Great Battles of History (Simple GBoH) allows gamers to recreate the significant battles of the ancient Western world covered by GMT's Great Battles of History (GBoH) Series. 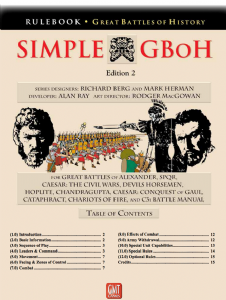 Simple GBoH is designed for players who want a faster, less die-roll-heavy version of the GBoH system, while retaining as much of the historical flavor and insight of the original rules. These rules and its companion playbook cover all the battles published in Deluxe Great Battles of Alexander, SPQR, Caesar: The Civil Wars, Caesar: Conquest of Gaul, Cataphract, and all their related modules. 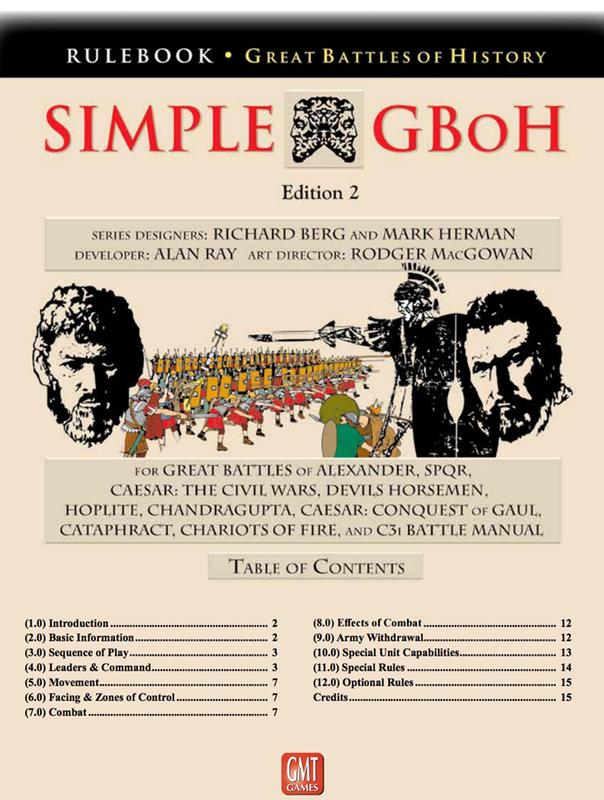 The battles presented in C3i are published in the Simple GBoH Battle Manual.